Tour ta Malta - The Race of Friendship - in pictures | theraceforthecafe.com . 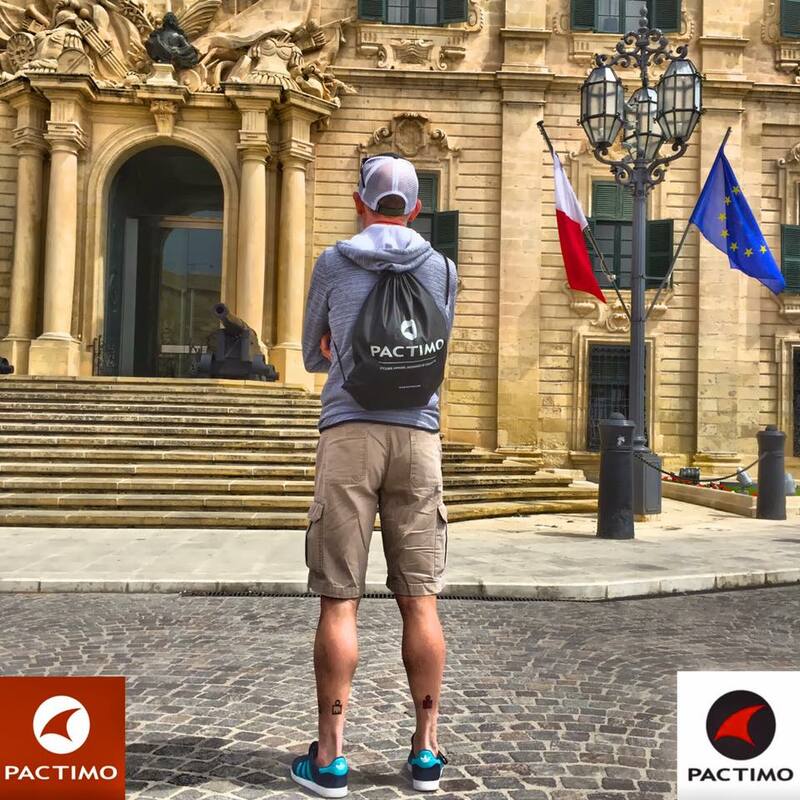 The Tour ta Malta is described by the organisers as the race of friendship and having just participated in the Tour I can confirm that is a very accurate description of this great event. It was one of the friendliest events I have ever been to. 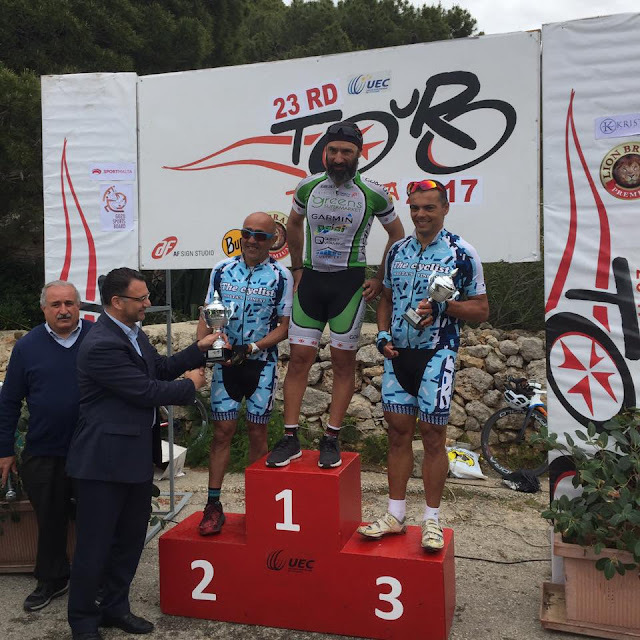 A record number of competitors took part in the TtM this year (122) and they came from seven Maltese clubs and sixteen foreign teams, along with a number of individual cyclists from various countries. 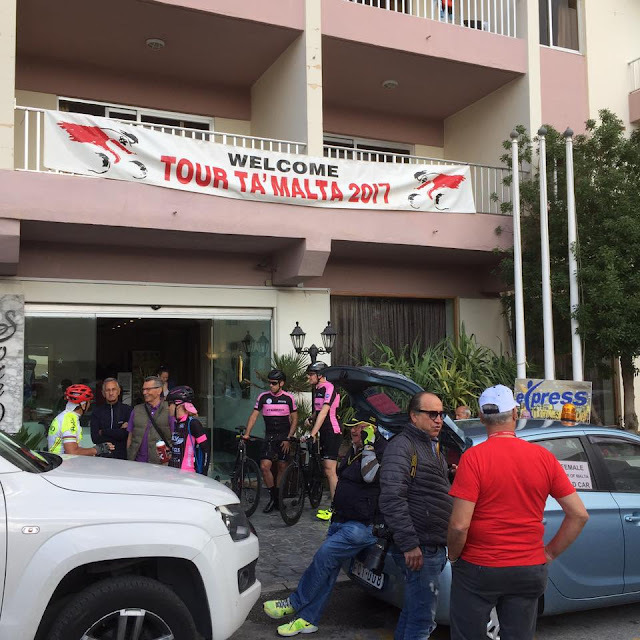 The tour is based at the Sorada Hotel in Saint Pauls Bay a great location allowing competitors to ride to and from three of the four stages. 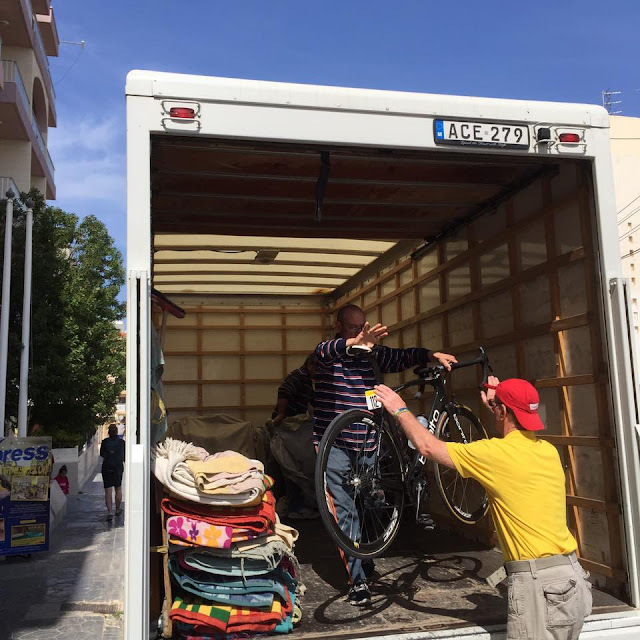 When we arrived at Malta airport we got taxis to the hotel, no need to worry about our bikes though, we were met by John Zammit the race organiser who took our bikes to the Sorada in his van, our first indication that this race was a bit different. The hotel provided a section of their underground car park for the safe storage of the bikes and bike bags. 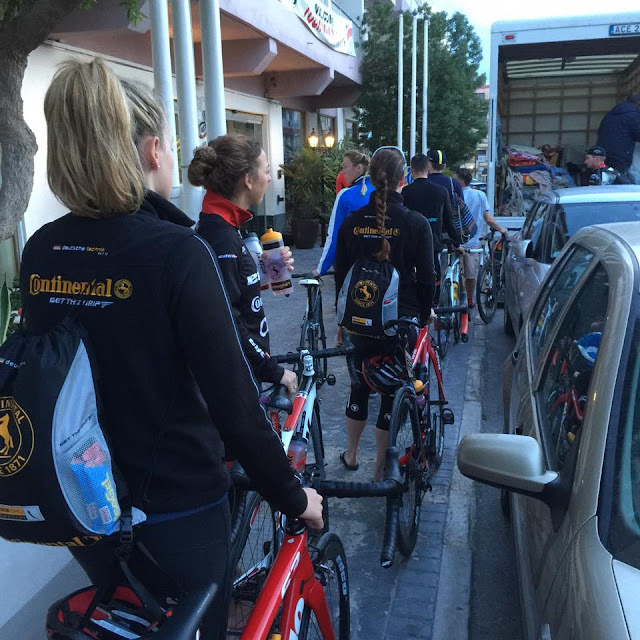 The Edco Continental team prepare to leave the hotel for stage one - Hannah Farran, Ellen McDermott and Jenn Batey. 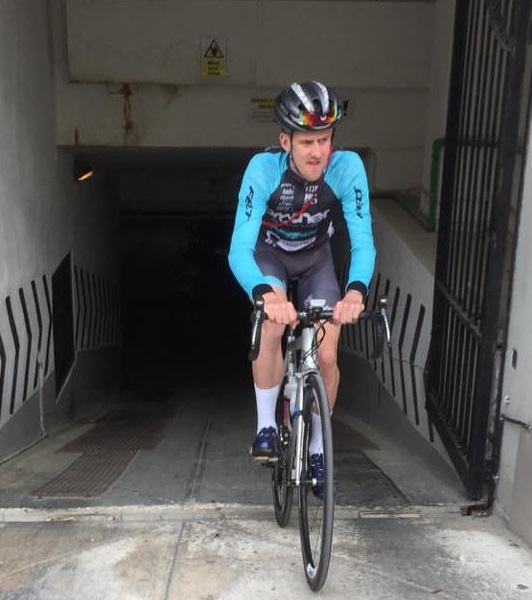 The underground garage does present one challenge - the ascent of the 25% ramp to the street. Here Jack makes it look easy - trust me it wasn't! The first stage is a short time trial on the coast road - superbly organised and with electronic timing this year for the first time. 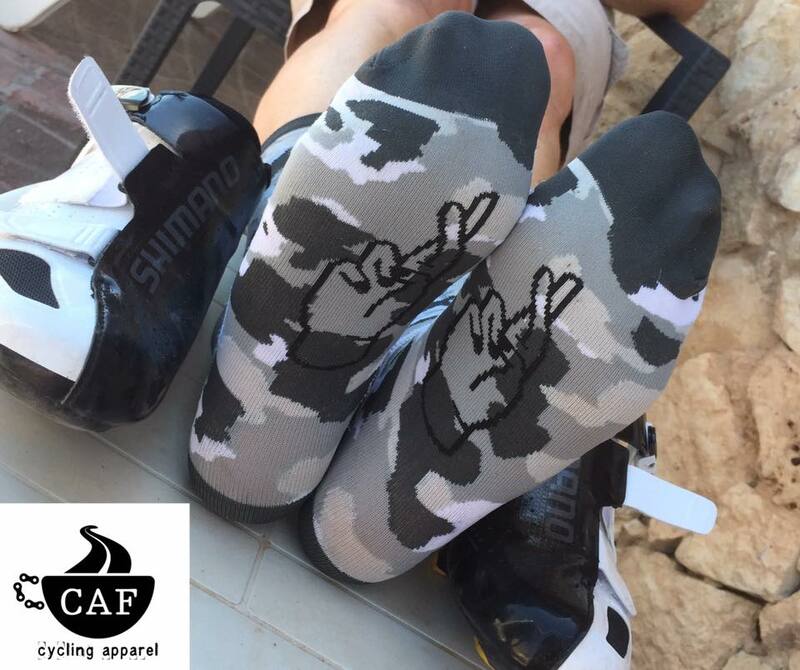 All competitors were issued with transponders for the whole of the race. 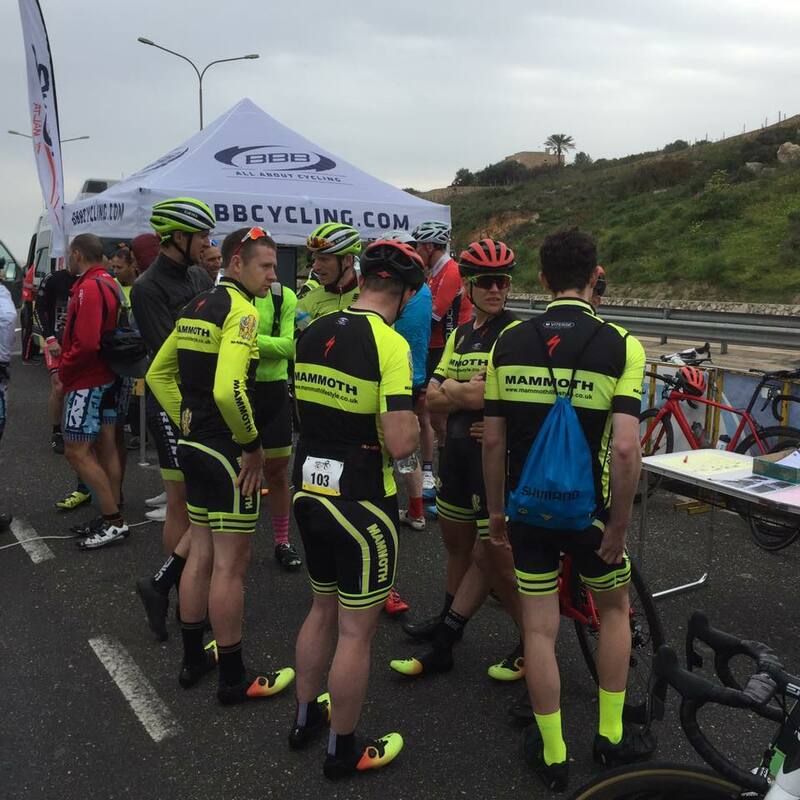 The Mamoth Lifestyle Team pictured at Stage Two which took place on the Saint Pauls Bay by-pass. Post stage refreshments became a feature of the Tour for us. The Cheeky Monkey bar in Saint Pauls Bay five mins from the Sorada Hotel became our local for the week. 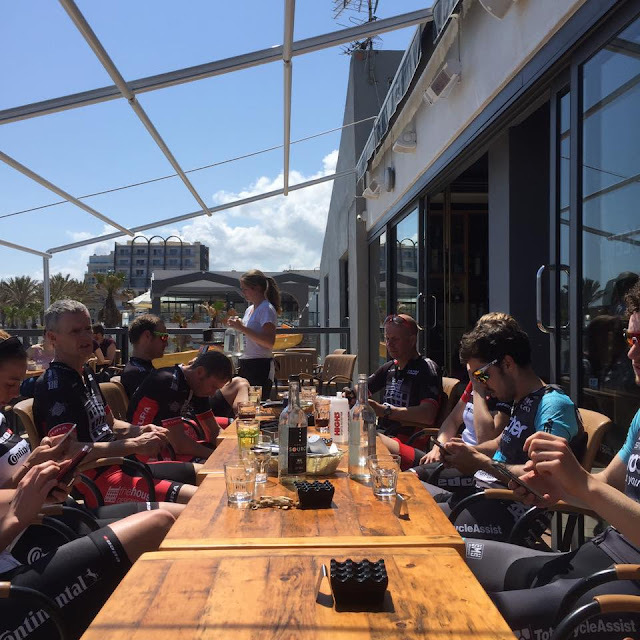 Good food and great staff and right on the sea front. I would definitely recomend this place. 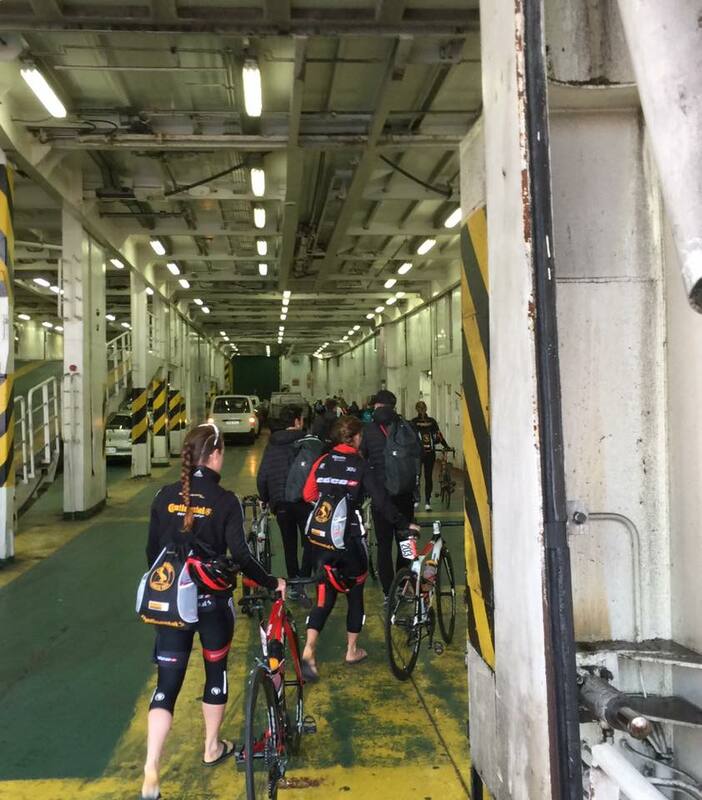 No messing about - just parked the bikes on the car deck for the short crossing. 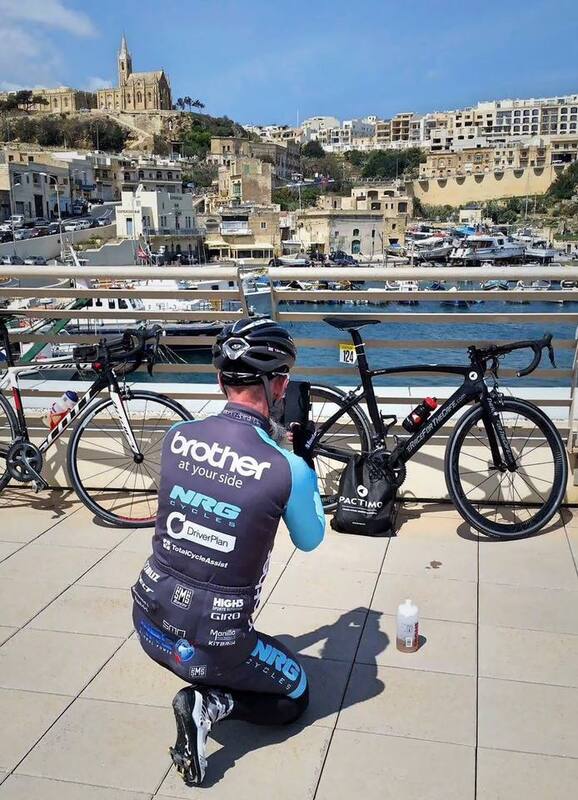 After the stage time for a quick bit of Instagraming before catching the ferry back to Malta. 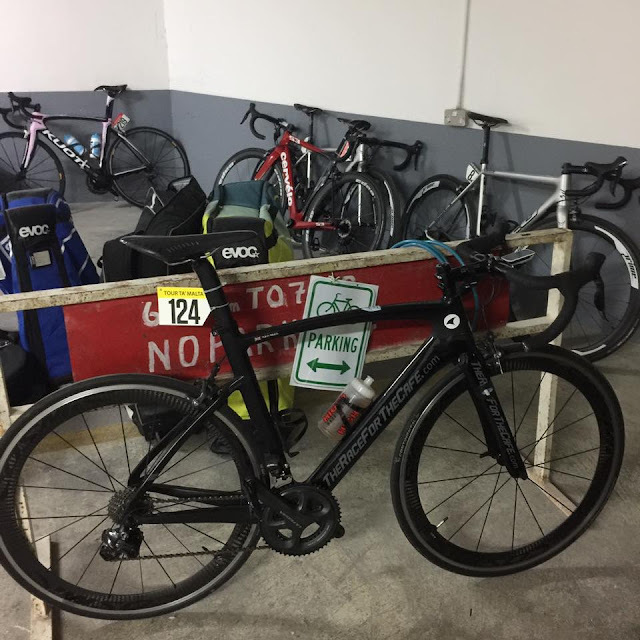 By the time the coach dropped us of back at the Sorada Hotel the bikes were there waiting for us. 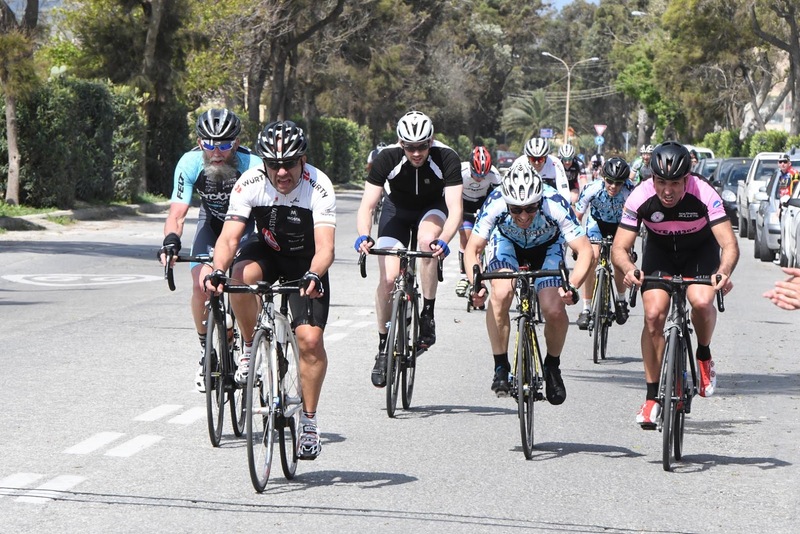 Really impressive organisation but the race has been running for 23 years so they have had plenty of practice. 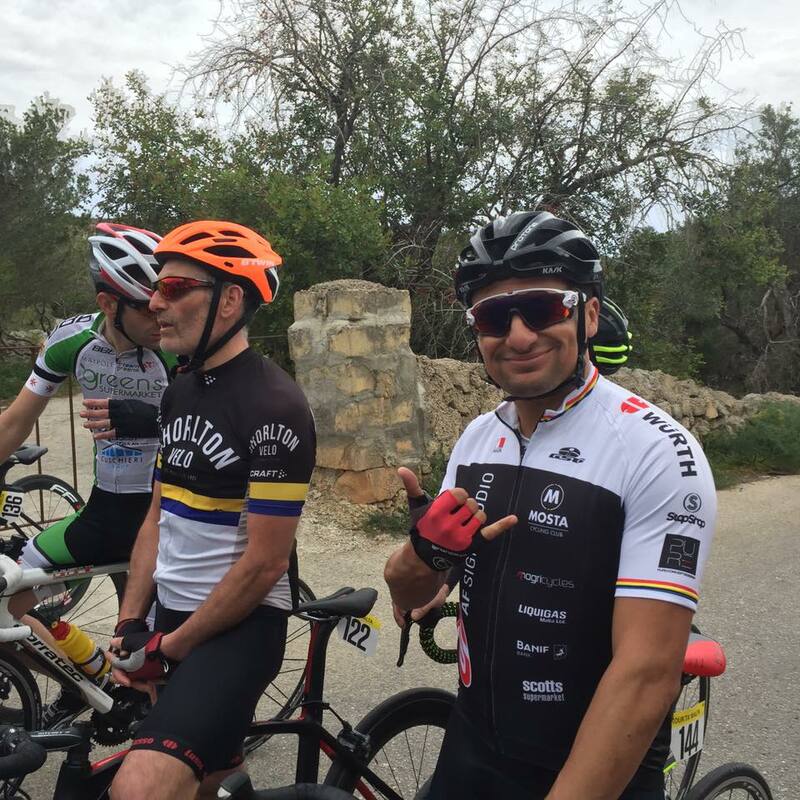 On the start line of the final stage with two guys who I always seemed to end up in the same group as. 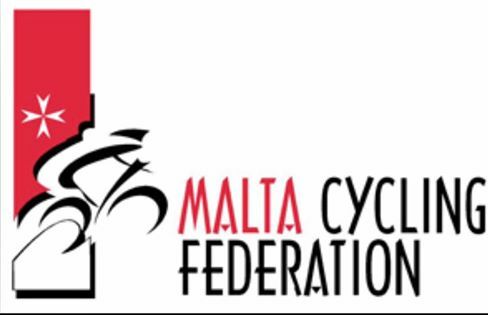 Stefan Borg of local team Mosta AF Sign Studio and a very focussed Kevin McNeill representing Chorlton Velo. 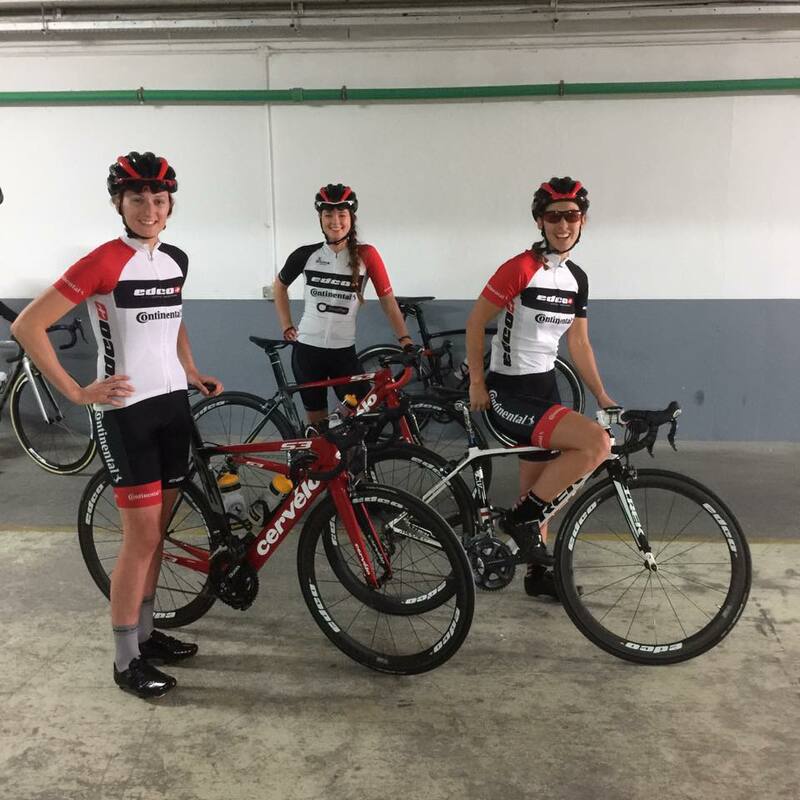 Plenty of UK representation at the Tour with strong teams from NCC Group Kuota Torrelli and GB Cycles.co.uk. Mads Scott on the left, John Cosgrove of Onimpex Bio Racer in the centre and right Brent Skinner of GB Cycles who very kindly provided neutral support on stage four - in his hire car ! Tony Orrell and Alice Sharpe in the background. Also a strong Norwegian team Velostrada. 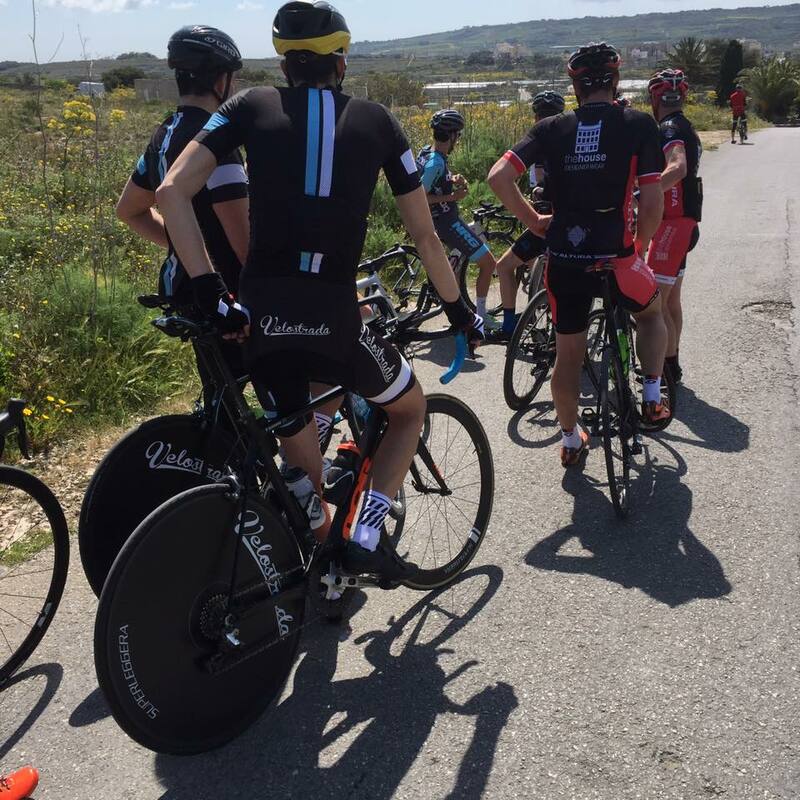 A really friendly group of lads, but they were taking the race very seriously with full TT rigs for the first stage. Thomas Strand of the Velosrada Test Team congratulates Will Brown of Brother/NRG/Driverplan on his overall win. Will's proud Dad Ian in the background. 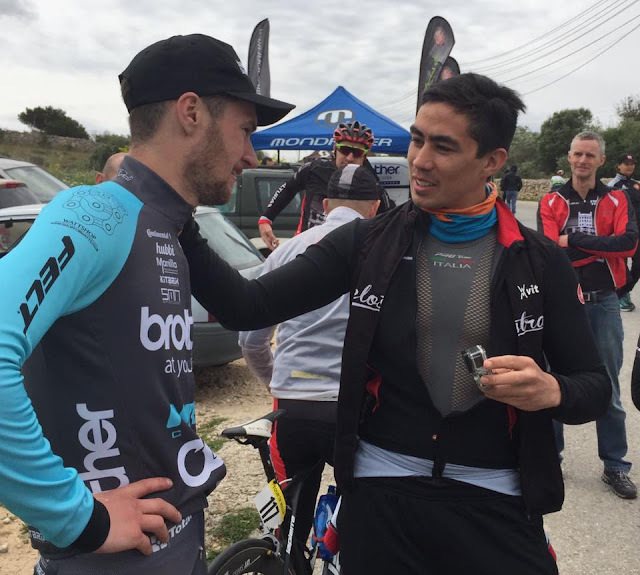 Did I mention it was a really friendly race? Richard Hill from Fiesten Tempo getting friendly with Will at the final presentation. 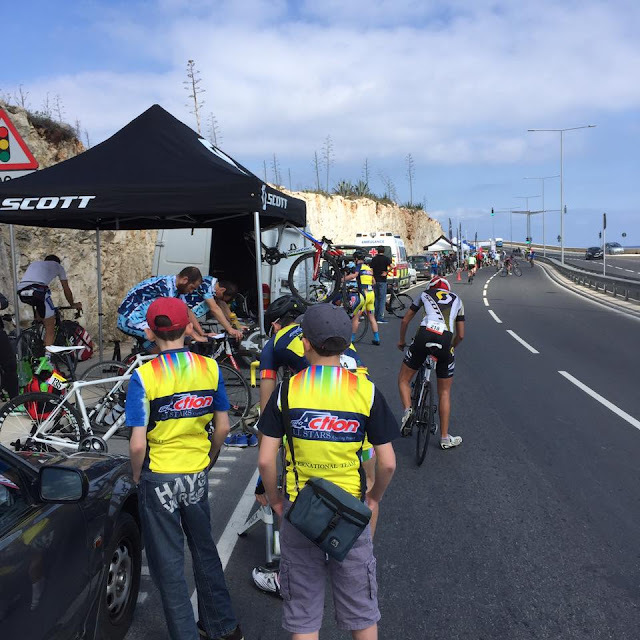 On the right is Steven Bell the leader of the Fiesten Tempo team who is a regular at the Tour. 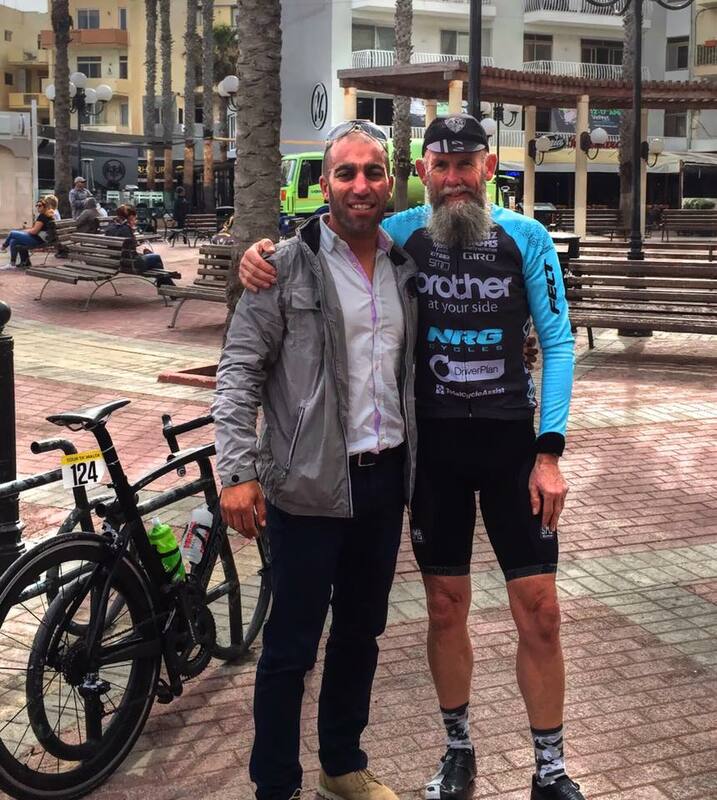 Steven provided us with so much help, advice and support throughout the tour including a guided ride around the three Malta stages the day before the race and ending with a celebratory dinner at one of Malta's best restaurants to round of the week - top guy. 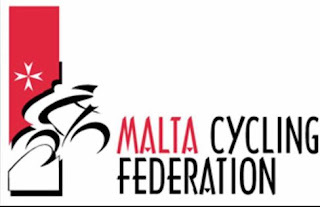 Within the tour there is a seperate competition for Maltese riders. First in the Masters class was Michael Camilleri of Team Greens with David Galea and Paul Zarb both of The Cyclist Team 2nd and 3rd. 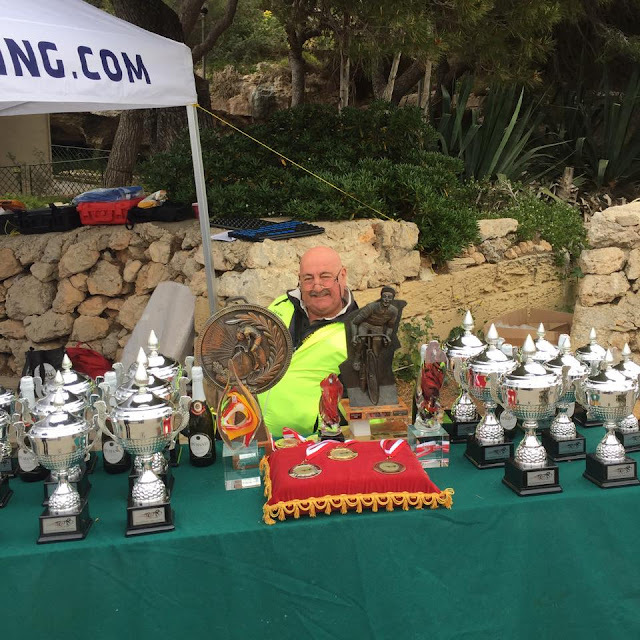 There are no cash prizes at the TtM but very impressive trophies in all categories for each of the stages and for the overall, pictured is Barry Whitmore one of the organisers and the race announcer. 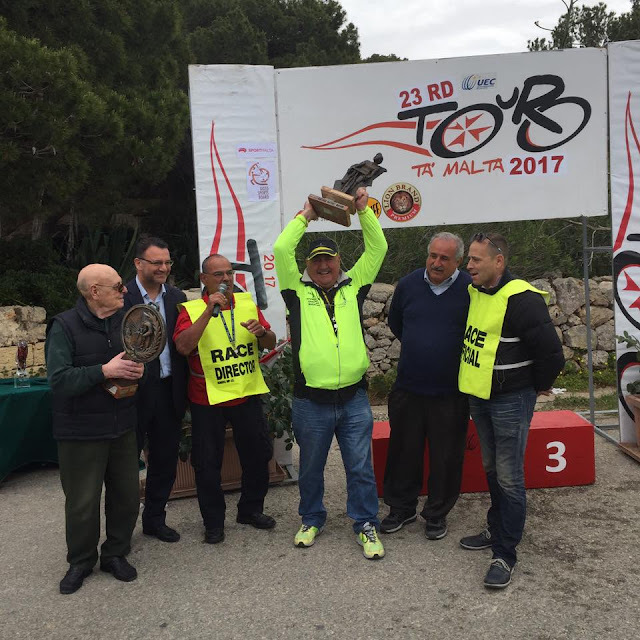 John Zammit the President of the Tour ta’ Malta 2017, presented Merit Awards to Barry Whitmore and Antonio Brigulio for their contribution to the organisation of the tour over many years. One thing that was obvious during the week was that there is a thriving cycling scene in Malta and people have real passion for the sport. 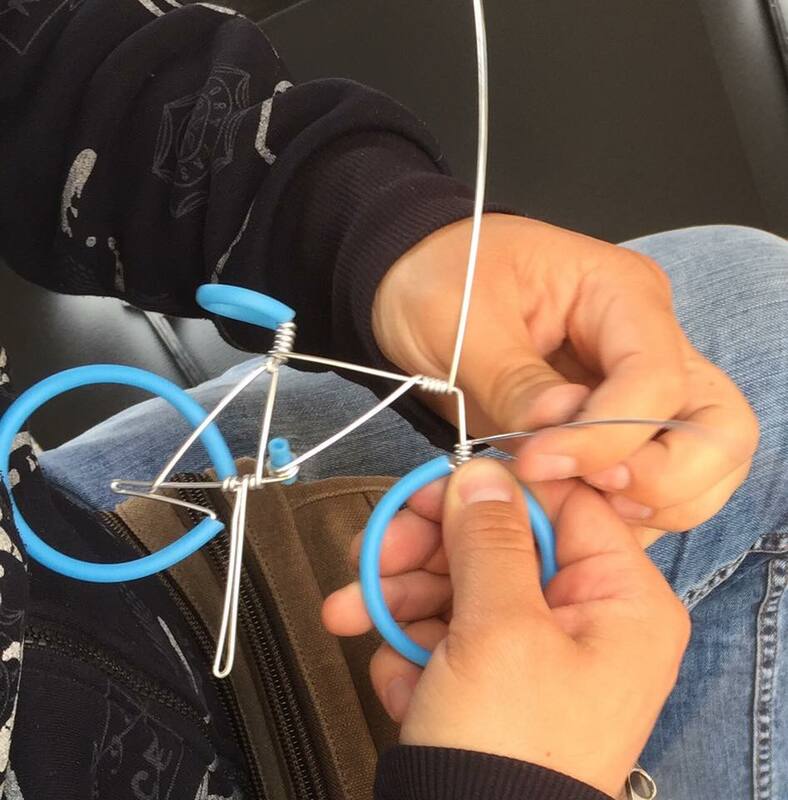 Found a guy in Valetta who was making hand made bikes - in our team colour too, five Euros well spent. During the four days of racing it was very easy to get to know people and make new friends. The morning after the race I bumped in to Pio Vassallo (Mosta AF Sign Studio) one of the local riders who was on his way to work - naturally we had to have a coffee together and chat about the race - really nice people the Maltese. The organisation of the event is excellent and we didn't have a single problem all week. 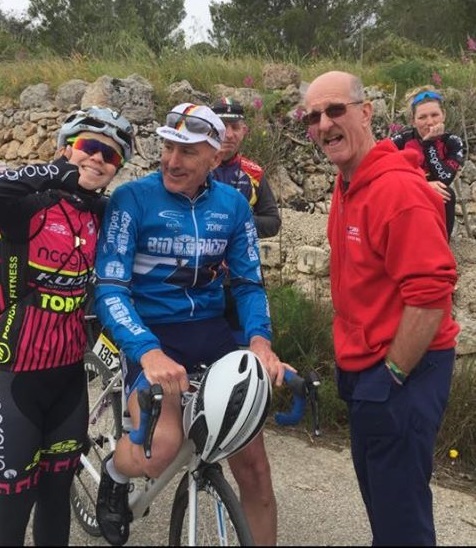 It was really friendly but it was also very competitive, above the second group on the road in the Masters race winding it up for the sprint as we approach the finish of stage three on Gozo, UK riders Scott Tams of Chorlton Velo in black and Kevin Borg of Team 300 in pink. A great week of racing and definitely worth thinking about as an early season goal for 2018 - I will be there for sure catching up with all of my new friends.